The role of trace elements as palaeo-climate proxies has been explored in ANSTO-led collaborative environmental research. Palaeoclimate is the reconstruction and study of past climate states on Earth and other planets. 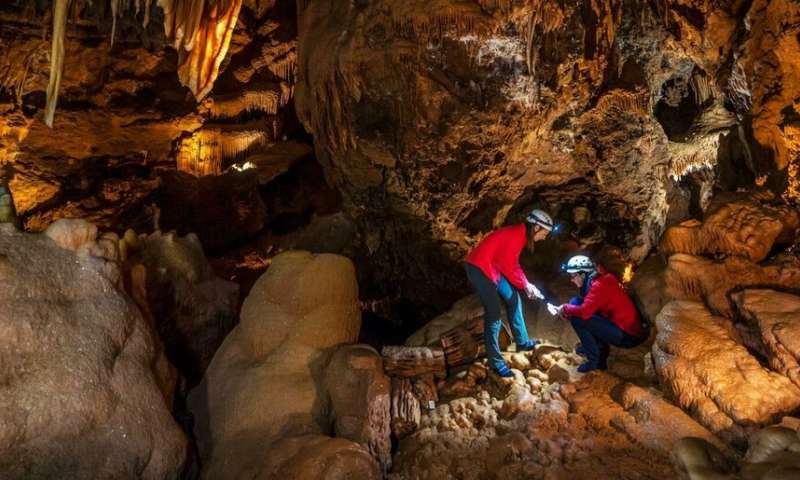 Trace metals from aerosols in the atmosphere that are deposited in the soil, or from bedrock, and make their way into cave stalagmites can be used as proxies to confirm climatic events, according to research published by Carol Tadros and associates in Science of the Total Environment. 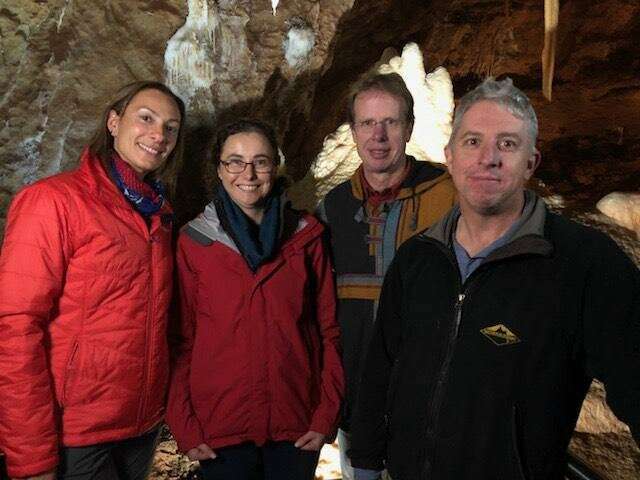 The research will help in deciphering the complexity of geochemical signals in drip water from speleothems (cave stalagmites) in order to reliably reconstruct a history of palaeoclimate in south-eastern Australia. Tadros published the paper as part of her Ph.D. studies undertaken at the University of New South Wales under the supervision of Prof Andy Baker, Director of Research and Environment and Dr. Pauline Treble of ANSTO. Stuart Hankin from ANSTO also contributed to the research. Trace amounts of sodium, potassium and zinc and other elements are carried as fine particulate matter in aerosols before being deposited at cave sites. These elements can modify the chemical composition of drip waters used in environmental research. "If we know that a trace element can be used as a proxy for say, drought and El Niño events, then when we look back further in time, we can confirm periods of drought by the proxy," said Tadros. The study was undertaken to further investigate the sources and processes controlling changes in the chemical signatures of drip waters. 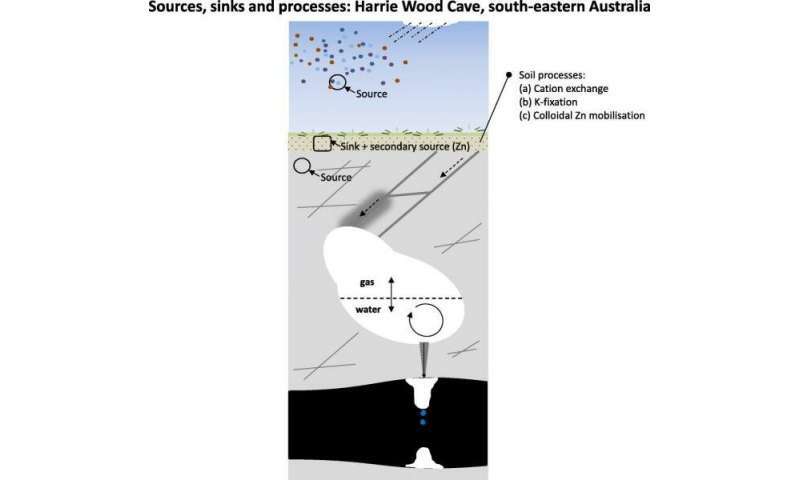 Carol examined drip water data from Harrie Wood Cave in the Snowy Mountains that was collected over a ten-year period. "We also gathered soil to determine its composition, and experimentally studied the mobility of elements from these clay-rich soils. We collected bedrock samples and had access to an aerosol sampler operating at the site four years," said Tadros. The climate in this zone and all of eastern Australia is characterised by bush fires, dust storms, cyclones and extreme rainfall variability. The interaction between the atmosphere and the ocean in the tropical Pacific, known as El Niño/Southern Oscillation (ENSO), increases rainfall variability and extreme weather events in south-eastern Australia. "Speleothem trace element based archives in the region could extend the instrumental record into the past therefore allowing us to establish an understanding of the baseline natural variability in the climate system," said Tadros. "However to accurately interpret these archives, we need to have a full understanding of the causes of trace element variability in the cave drip waters." Although it was known that the concentration of trace and major elements in cave drip waters depended on their origin, the research confirmed that site specific hydrochemical processes during contrasting rainfall conditions also influence its composition. "Trace elements are very specific to a site and you also need to understand the hydrological processes above and within the cave under a changing climate," said Tadros. The investigators confirmed that during wet and dry periods two different hydrochemical processes occur in the cave zone. "After we quantified how much of the atmosphere and bedrock does contribute to the drip water, we found that there was an enrichment of trace metals, sodium, potassium and zinc in the clay-rich soil. It acts like a sink for retaining these elements. The shift from dry to wet conditions facilitates chemical processes in the soil zone which then mobilise metals to the soil water and percolate through the soil profile." "During drought, potassium concentrations are fairly stable. The soil is holding all the potassium. But when the site water balance increases under La Niña conditions, and the water starts moving through it, slow weathering of the clay structure releases the potassium trapped between the layers in the clay mineral." Other processes occurring in the soil, like cation exchange and colloidal mobilisation, were found to modify sodium, magnesium, strontium and zinc concentrations in the drip water.Tadros and colleagues determined that magnesium and strontium/calcium ratios could be used as proxies for drought in stalagmite archives. "This is a new approach, as we have developed a multifaceted understanding of the whole karst system. Using mass balance equations, we constrained the contribution of site specific sources and karst/soil geochemical processes. We now have new geochemical tools to apply for speleothem research," said Tadros. "Now that we know which trace elements show particular promise as palaeoclimate proxies, we are going to try and apply it to the modern record of speleothems," said Tadros.